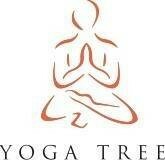 Start taking classes at Yoga Tree and other studios! Simply flow is a 60 minute fusion of breath and movement (Vinyasa). No push ups, arm balances or inversions, just a pure light sequence of flowing postures to lengthen, strengthen and diffuse any tension in the body and mind. This is a beginner-friendly class. There are no upcoming “Simply Flow” classes on this day. Mats and towels can be rented from the studio, or you can bring your own! A difficult class made up of simple moves - really got the energy flowing! Nice space and energy with a rhythmic flow. Keran's class was unbelievable. We cannot wait to go back. Donna was very good, and obviously knew her stuff, but the class was more difficult than I was expecting (it differed from the description). Not quite what I expected from the description- lots of planks. Lovely class, Donna is such a good teacher, clear instructions and adjustments. I feel peaceful after the class.